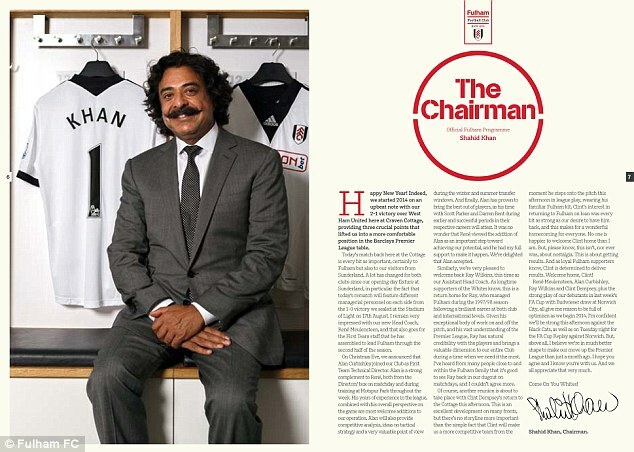 Shad Khan will summon Fulham to unite and support the three wise men in his new managerial team ahead of Saturday’s relegation clash with Sunderland. Khan has written a message for the match-day programme, explaining for the first time his reasons for bringing Alan Curbishley and Ray Wilkins on the backroom staff of new boss Rene Meulensteen. 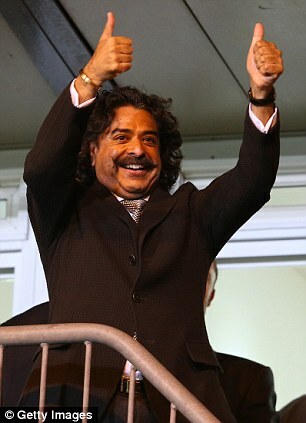 ‘Above all, I believe we’re in much better shape to make our move up the Premier League than just a month ago,’ said the American billionaire who bought the club from Mohamed al Fayed last summer. 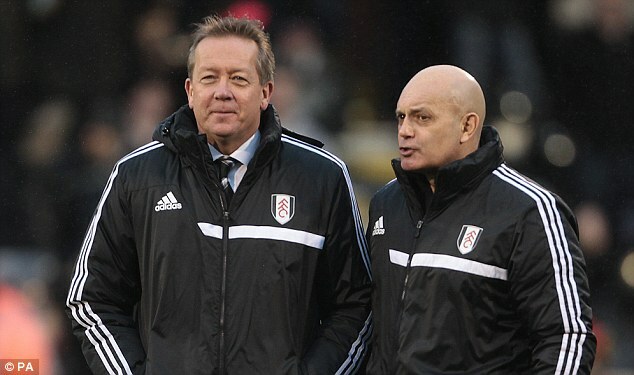 Khan fired manager Martin Jol at the start of December in an attempt to halt Fulham’s worrying slide into the relegation mire. The London club are two points clear of the drop zone and five clear of Sunderland, who have also changed their manager and shown signs of recovery. 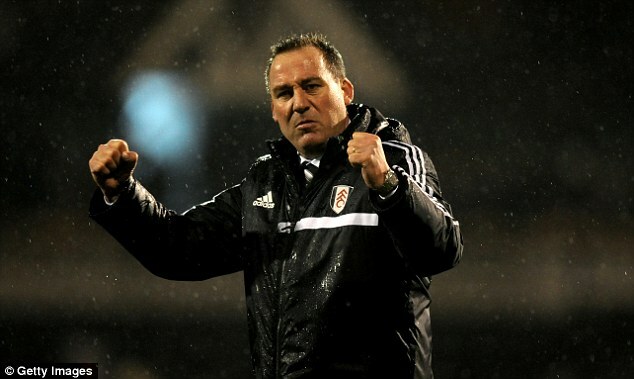 It feels claustrophobic in the depths of the Barclays Premier League but Khan is encouraged by the way things have been shaping up under Meulensteen and Co.
On Curbishley’s appointment as technical director, he says: ‘Alan is a strong complement to René, both from the directors’ box on match day and during training at Motspur Park throughout the week. ‘His years of experience in the league, combined with his overall perspective on the game are most welcome additions to our operation. Alan will also provide competitive analysis, ideas on tactical strategy and a very valuable point of view during the winter and summer transfer windows. 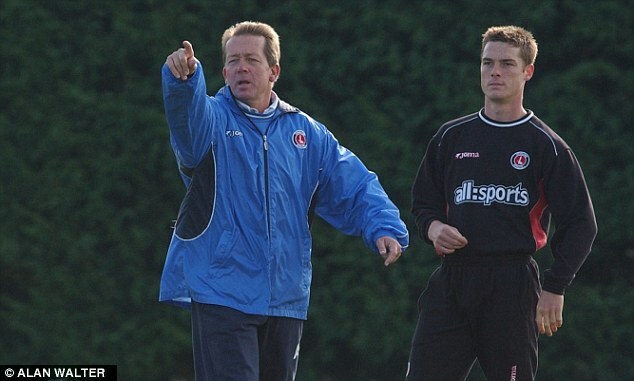 ‘And finally, Alan has proven to bring the best out of players, as his time with Scott Parker and Darren Bent during earlier and successful periods in their respective careers will attest. Premier League, Ray has natural credibility with the players and brings a valuable dimension to our entire Club during a time when we need it the most. As for Dempsey, on loan until the start of the MLS season in March, he says: ‘This is an excellent development on many fronts, but there’s no storyline more important than the simple fact that Clint will make us a more competitive team from the moment he steps onto the pitch this afternoon in league play, wearing his familiar Fulham kit.